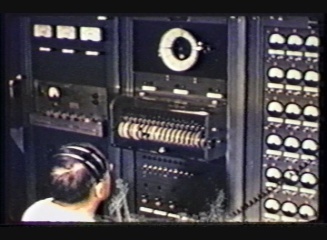 Operation Castle was a six-detonation test series held at the Atomic Energy Commission's (AEC) Pacific Proving Ground in the Spring of 1954. 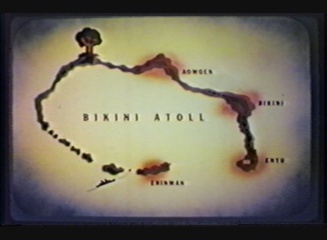 This test series, principally conducted at the Enewetak and Bikini Atolls in the northwestern Marshall Islands, provided proof tests of large-yield thermonuclear, or hydrogen, devices. 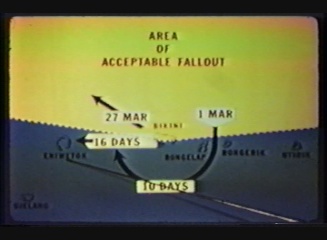 Operation Castle was a six-detonation test series held at the Atomic Energy Commission's (AEC) Pacific Proving Ground in the Spring of 1954. 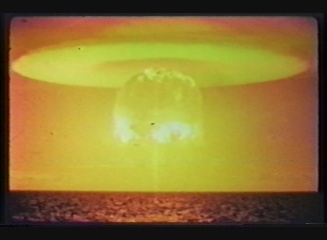 This test series, principally conducted at the Enewetak and Bikini Atolls in the northwestern Marshall Islands, provided proof tests of large-yield thermonuclear, or hydrogen, devices. Castle represented the end of a drive for a workable thermonuclear weapon and the beginning of the refinement of large-H-bombs into smaller and more efficient weapons. After Castle, the U.S. could choose in a range of small tactical weapons to large strategic weapons. From this point, weapons development programs concentrated on producing bombs of specific nuclear weapons effects -- heat, blast, and radiation. 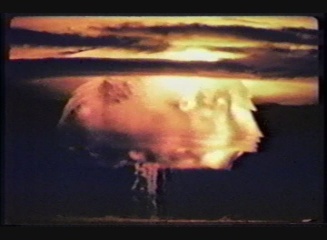 The Bravo event of the Castle series yielded 15 megatons, the most ever exploded in atmospheric testing by the U.S. A scientific miscalculation caused the yield to be about double what was expected. Also, reports indicate that Bravo was the single worst incident of fallout exposure in all of the U.S. atmospheric testing program. Fallout was scattered over more than 7,000 square miles of ocean and islands, resulting in the contamination and exposure of military, civilian U.S. personnel working on the shot, and people of the islands who were earlier moved to a supposedly "safe" island but received large amounts of radiation. Acute radiation effects were observed among some of these people. The total run time of this DVD is 20 minutes.